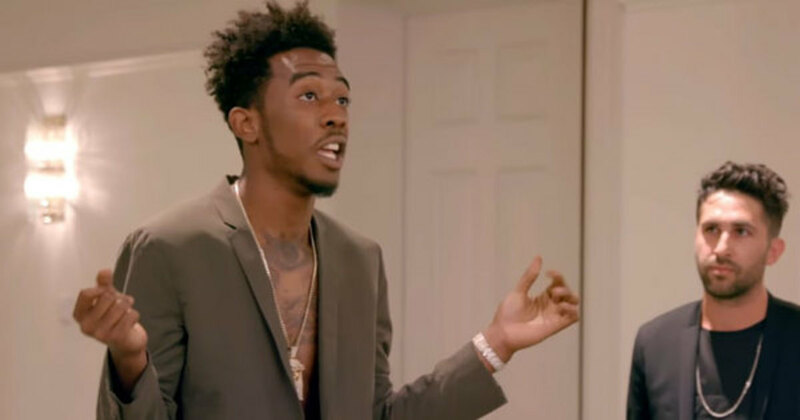 Desiigner was first introduced to me as Kanye’s “Father Stretch My Hands, Pt. 1” abruptly transitioned into an interpolated version of “Panda.” For just a moment, I was convinced his voice belonged to Future; similarities in their respective styles and tone of voice caused the momentary mix-up. 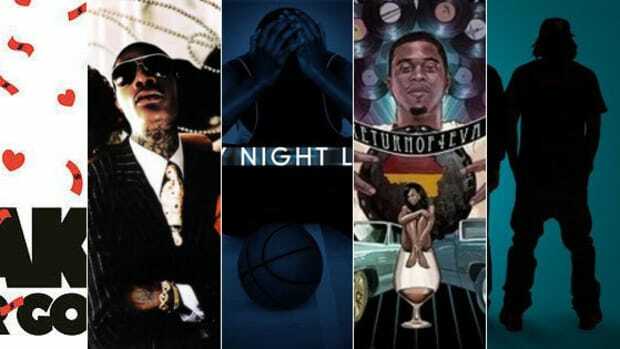 I wasn’t alone—the general consensus saw a musical thief, a jacker of swag, and mostly denounced his future in music. 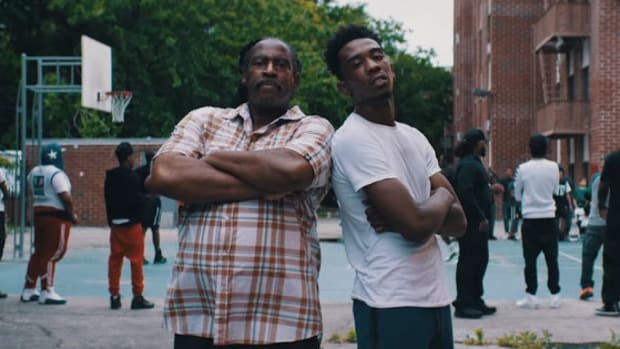 Surprisingly, Desiigner survived the entire year, and by doing so changed the minds of many. I wouldn’t consider him the brightest rising star, but his limitless energy and eccentric flair are infectious. Once you give him a chance he’s hard to root against. Desiigner’s name is perfect for crossover marketing into fashion. Hip-hop has a powerful presence in the fashion world, and with a massive hit record, it&apos;s no surprise designers would flock to Desiigner. Back in November, fashion brand Stampd sought out the Brooklyn hit-maker to style an innovative fashion tech piece that was presented to a CFDA and Vogue’s Fashion Fund Panel. Every brand taking part in the showcase had to bring a guest model, and Stampd brought a famous rapper—the only brand to bring a young black man. 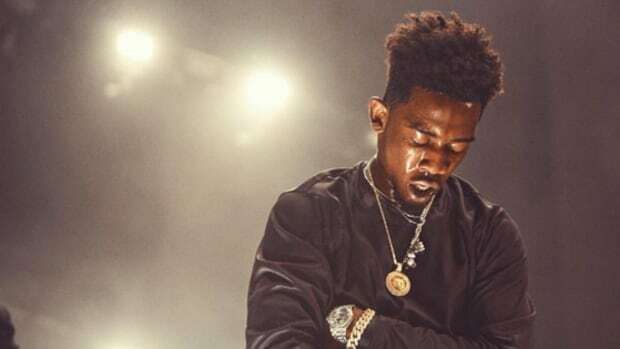 A video released in early November showed Desiigner stepping forward in a suit, all eyes on him, including Vogue&apos;s editor-in-chief Anna Wintour. 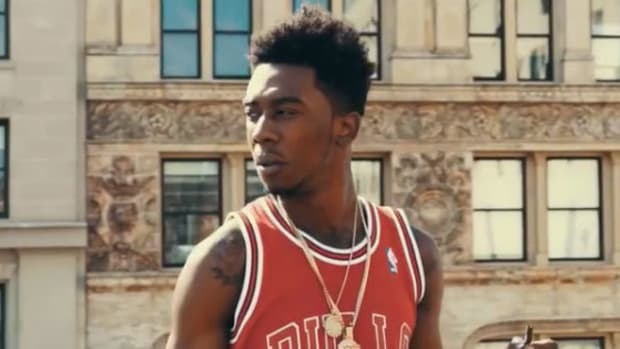 Animated and jubilant, Desiigner is his usual self. If he was nervous, it’s hidden behind the sugar-rush of energy that he exudes. As he began to walk out, Selby Drummond, the accessories director for Vogue, requested a verse for the panel. The rapper complies, doing an a cappella rendition of “Tiimmy Turner.” They watch silently as he snaps and sings the hook, there&apos;s not much emotion on their faces, but applause erupts as he finishes. Selby seems impressed, you can tell by her reaction she’s a fan, but you don&apos;t see the same enthusiasm from those he performed for. I couldn’t help but cringe while watching the short exhibition. It’s awkward, especially since he goes from model to entertainer at the drop of a dime. 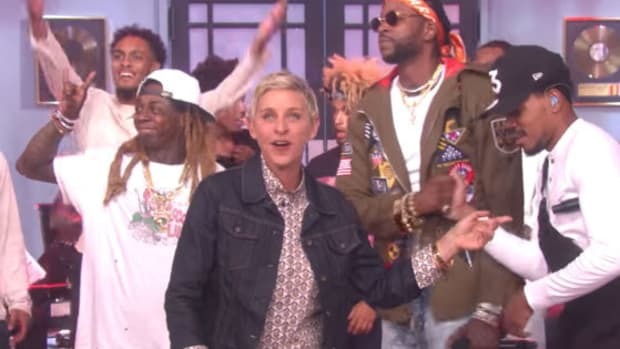 He wasn&apos;t there to perform, but yet, the rapper had to do a verse. The organizer&apos;s intentions may have been good— an impromptu performance added a bit of life to the showcase—but deep down, watching him perform took me back to Bobby Shmurda dancing on the table for Epic Records, EEARZ turning up for Interscope executives, and even the viral clip of Desiigner doing a lively performance in the XXL office. 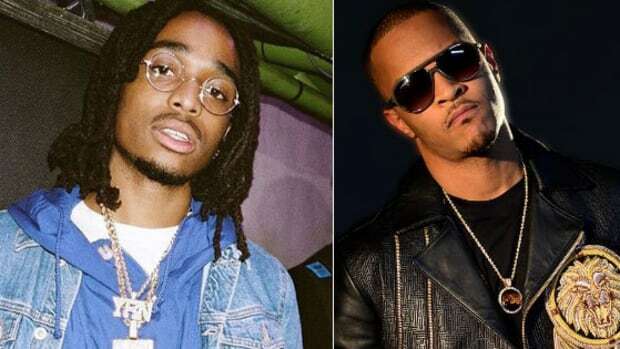 Time and time again young black rappers feel as if they have to shuck and jive for the entertainment of people in power, people of status, people who might not understand how the music and culture run much deeper than just catchy songs. Race matters. It’s impossible to overlook the contrast of these young black men performing for an audience lacking color. I understand white people are fans of hip-hop, I love how the genre is able to reach people of every race and ethnicity, but if they want to see a performance just buy a ticket for a show. There’s a place for entertainment, a home for their craft to be looked upon. 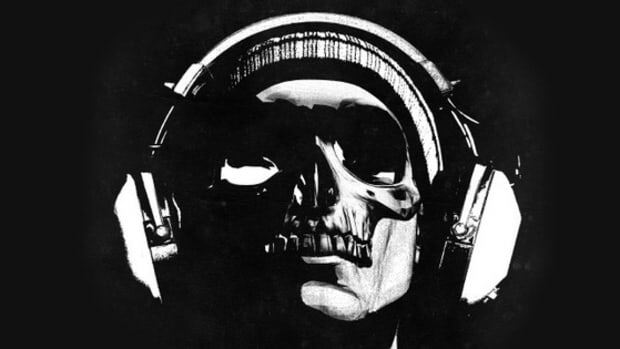 Rap can be done on the most poverty-stricken street corners and the biggest stadiums in the world. Rap performances shouldn’t be done in private boardrooms filled with label executives, fashion designers, and music writers. Instead of coming off as creative expression, dancing and singing in these rooms appears as nothing more than a minstrel show. Music and dance were at the heart of what made minstrel shows popular—a mockery of black people and black culture for a white audience. I want rappers to understand that they are respected entertainers and dignified artists, and have to allow integrity to help make judgment calls. You don’t have to sing and dance for anyone who didn’t pay you a performance fee. Money isn’t a master, you can turn down the almighty dollar. I see so much innocence in these young men, for them, it&apos;s just another song and dance. But they are much more than that dance, more than that song, and should always be respected as such. I don&apos;t believe Vogue meant any harm—at the height of “Panda”&apos;s popularity Desiigner collaborated with Vogue for a video that had an excellent outcome—but there&apos;s a big difference between collaborating, and being the entertainment. Let’s leave all the dancing, jigging and singing in the past. Not when the artists deserve a seat on the throne and crown upon their heads. 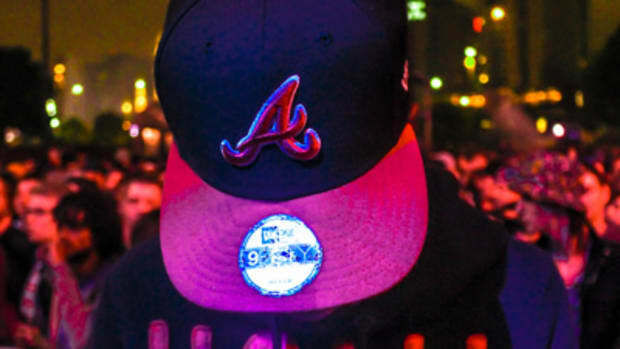 Rap and hip-hop have come too far to simply be the jesters of the party.